Dr. John Morris is affiliated with the Institute for Creation Research in El Cajon, California. He produces a column each month in a publication called Back to Genesis. In a past issue, there appeared a fascinating piece regarding the startling admission of a molecular biologist who was interviewed earlier this year by a journalist in Virginia (Morris, 2000). I would like to pass along the gist of this piece because many of our readers likely are unacquainted with this valuable little paper, and because the incident is so telling. The interviewer and the experimental biologist were discussing the matter of the incredible volume of complicated information that is packed into the human genetic code. The newsman asked the researcher if he believed the astounding array of information in the DNA code—which the scientist had compared to a document “larger than four complete sets of Encyclopedia Britannica,”—could have evolved by chance. [N]obody I know in my profession believes it evolved. It was engineered by “genius beyond genius,” and such information could not have been written any other way. The paper and ink did not write the book! Knowing what we know, it is ridiculous to think otherwise. The biologist was then asked if he had stated that conclusion in public. He replied that he had not. It simply was not feasible, he said, as a working scientist, to reveal a view of that nature. 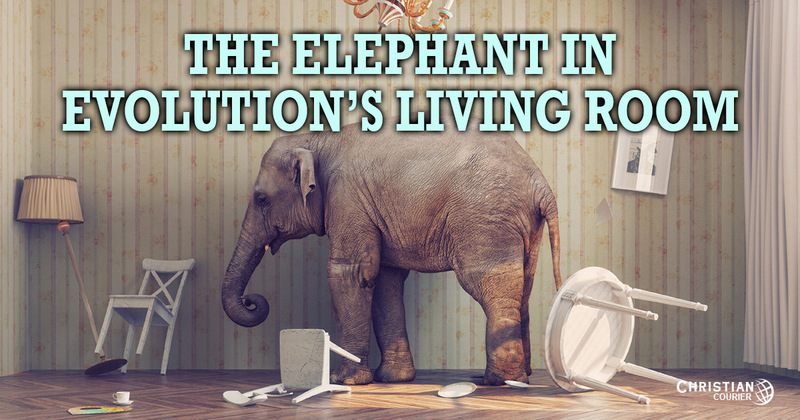 “like an elephant in the living room. It moves around, takes up an enormous amount of space, loudly trumpets, bumps into us, knocks things over, eats a ton of hay, and smells like an elephant. And yet we have to swear it isn’t there!” (emphasis added). And yet he is so intimidated by his science peers, he is so fearful for his reputation, and he is so afraid of losing his income, that he refuses to acknowledge his Creator in a candid and public way. And all of them are not “in the world.” There are those in the church—elders, preachers, and others—who know the truth on various issues, but they are afraid, for various reasons, to teach it. That is not, I would surmise, a good feeling with which to retire each night. Morris, J. 2000. Why Can’t Geneticists See the Obvious Evidence for Creation in the Genetic Code? Acts & Facts. 29 (10).